As community professionals, we have more tools than ever to help us do our jobs. That said, the qualities that make an online community and an online community professional successful are likely largely the same today as they were 10, 20, or even 30 years ago. 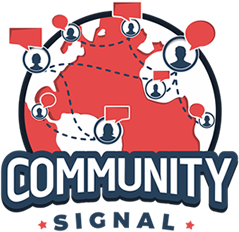 This episode of Community Signal focuses on those exact qualities and opportunities to delight. If you don’t have direct experience in community, start one! In addition to these qualities and skills, Angela also surfaces the topic of knowing her worth and the value of the communications skills that she brings to the table. This worth translates to a certain salary, but as with all roles, it also requires internal buy-in and the right resources to make sure you can get the job done. There are many companies that think they can’t afford someone at this skill level, but that doesn’t mean they don’t need someone at this skill level. Since 2010, Angela Connor has been the driving force behind the success of marketing and community managers, directors of social media and digital directors at companies of all sizes and across many industries including Blue Cross and Blue Shield of North Carolina, Deloitte, South State Bank, Duke Energy, UNC Health Care, Fidelity Charitable, Carolina Biological Supply Company and many more. 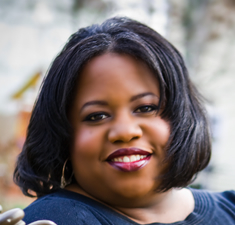 Angela mastered the ugliness of internet and community trolls as the managing editor of user-generated content at the top news outlet in North Carolina – WRAL.com. She grew their first online community from zero to 14,000 members and chronicled that experience in her 2009 book, 18 Rules of Community Engagement. Angela recently founded Change Agent Communications, which serves companies looking to reach audiences in new ways, capitalize on an emerging trend, head down a different path strategically, reimagine their business model or reinvent themselves. 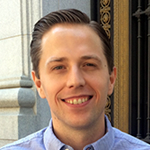 [00:00:28] Patrick O’Keefe: Hello and thank you for listening to Community Signal. On this episode, I’m talking with Angela Connor, who has been building the community for clients on the agency side for many years, after starting her career in the community in user-generated content at an NBC affiliate in Raleigh, North Carolina. Our conversation covers staying true to the community ethos while working within an agency, the continual persistence of niche communities, and what’s stale in online community strategy. Our show is backed by a generous group of supporters on Patreon, including Marjorie Anderson, Carol Benovic-Bradley, and Jules Standen. We really appreciate the vote of confidence. If you’d like to join them, please visit communitysignal.com/innercircle. Since 2010, Angela Connor has been the driving force behind the success of marketing and community managers, directors of social media and digital directors at companies of all sizes and across many industries, including Blue Cross and Blue Shield of North Carolina, Deloitte, South State Bank, Duke Energy, UNC Health Care, Fidelity Charitable, Carolina Biological Supply Company and many more. Angela mastered the ugliness of the internet and community trolls as the managing editor of user-generated content at the top news outlet in North Carolina, WRAL.com. She grew their first online community from zero to 14,000 members and chronicled that experience in her 2009 book 18 Rules of Community Engagement. Angela recently founded Change Agent Communications, which serves companies looking to reach audiences in new ways capitalize on an emerging trend, head down a different path strategically, reimagine their business model or reinvent themselves. Angela, welcome to the show. [00:02:00] Angela Connor: Thank you, Patrick. I’m happy to be here. [00:02:02] Patrick: Like a lot of agency folks, you built your experience in the field before moving on to agency life. In your case that was at WRAL, an NBC affiliate in Raleigh, North Carolina, my home state until just very recently. Then, you’ve been with agencies for almost nine years. You told me before the show that you, “Strive to make sure you and your team are still living up to what you believed a community manager should be, which can be pretty tough if your clients don’t necessarily see it that way.” What does that mean to you, living up to what you believed a community manager should be? [00:02:29] Angela: Well, that means a lot to me. I think mostly it means engagement, it means authenticity, it means really wanting to be there, and not looking at your community as just your audience of people to buy stuff from you, which in many cases, that’s what it can be, or for you to look at your community as people who should help you out in times of crisis. Because sometimes you deal with the crisis when you work in agency world, and you’re helping clients with that, and they want to lean on the community, but if you haven’t put in the work beforehand, if you haven’t demonstrated that you value them, or that they’re there for a reason, then that’s not going to work. I really like to keep that in mind, as I was grooming my teams to become community managers, to just not be people who respond to comments with canned responses. That’s another thing. I think that the community requires personalization and demonstrating that you’re there for the long run. I still try to hold true to those things even in my personal social media life. When people post comments to me on LinkedIn, on Facebook, I respond to every single one. Now, those birthday messages, I don’t know about that, because you get like 300 of them. I typically say thank you, or I really appreciate that. Or I try to add something that’s unique to let them know that, “Hey, I remember why you’re special to me.” That takes a little bit of time, but that’s how much I care about community. I just wish it was widespread. [00:03:53] Patrick: You mentioned LinkedIn. It made me think of something I discovered recently. I have been publishing a few things on LinkedIn on there, I guess you’d call it a blogging platform. I forget what they call it right now, but their publishing platform, right. I had received some comments on the article that I wrote using their LinkedIn articles. I realized that I couldn’t delete articles on my own writing, which I felt was really strange from…I’m not suggesting that LinkedIn understands the community. I don’t know, like, I know, Maria Ogneva used to be over there, Director of Community for LinkedIn. It was more on the LinkedIn Sales Navigator side. Good or bad, LinkedIn community, I’m not making a judgment there, but it’s strange to me that you would ask someone to use your publishing platform and then you have a comments section. I’m not sure if I can think I can shut off comments even if I wanted to. I’m not saying I want to, I’m not saying I want to be restrictive. But if [chuckles] someone comes into the comments of the article and you can moderate what is made down there. It just felt really strange to me and almost felt like a hostile space that I, with my community background, might not want to publish in in the future. [00:05:00] Angela: I think you make a great point. When you started saying hostile, I thought you were going to say, hostage, like they were holding you hostage. [00:05:06] Patrick: I mean, they could be. Yes. [00:05:08] Angela: [chuckles] I think that yes, they want you to participate, they want you to write articles but the way they want it to happen because it’s their platform, we don’t own it. If we go on there and write then we have to deal with whatever rules or parameters are out there and I agree with you. I think so knowing that then what do we do? You make a decision to either do it or not to do it and if you do it, I say engage. If you do get someone who comes on and has a comment that you don’t like, no one knows better than you what to do with that, Patrick. [00:05:39] Patrick: I star it for attention and don’t respond. [00:05:43] Patrick: Of course, there’s a million shades of that in that rainbow. There is a critical which is great, criticism. There’s inflammatory, what some would say trollish tendencies maybe that are maybe not so great and you don’t want to give attention to but you still have to give space there. I had a comment that, I don’t know, if I would’ve deleted it but I was surprised to go for the option. Basically, it was a comment I wrote about section 230 because our President. President Trump had just made a comment about Twitter shadow-banning Republicans and I’m going to look into this discriminatory practice and really what he’s talking about is going after section 230 of the Communications Decency Act which is in a way the whole game for us in the US because it is the piece of legislation that says that we can moderate without becoming liable for what we believe. When I make a decision because comments sections, online forums, online communities as you know. I had Jay Rosen on the show recently from NYU and he said, “This is kind of an editorial decision.” That’s one way to look at it. When we talk about community guidelines, I think of them as sort of a vision statement but you could see them as an editorial choice that this is the type of conversation that we’re going to enable here, we’re not going to allow these things. Those things could be hate speech, they could be all caps text, they could be any number of things. We are not going to allow those things. [00:07:32] Angela: Right, because you can’t control the chronology of that either on that forum. [00:07:35] Patrick: I feel like people who does a lot– I mean this is true, I don’t have to feel like this, a lot of people probably share this thought is that people who often desire these platforms don’t really understand that implication to it. It’s just the comment section, it’s just a text box, there’s not a whole lot of thought for what will actually happen in designing it in response to what will happen when it’s actually used. Back to what you were saying about LinkedIn, you talked about the critical type of comment, the inflammatory type of comment, let’s just not forget about pure idiocy. There’s still a lot of that out there and yes, you can engage or you cannot engage, and you chose not to engage but you still got engagement on the thing you were trying to avoid because other people chose to. There might be a bit of a hostage situation in there. [00:09:01] Patrick: [laughs] Speaking of WRAL, like I said, you’ve been away from that for a while. I know that your community was called GOLO, G-O-L-O. [00:09:09] Patrick: I know they closed that at some point and replaced it with something called Share and I don’t know what’s going on over there right now but you mentioned before the show, you still watch the local news and I was just curious if you kept tabs on that, WRAL and how you feel about what’s changed there since you left and maybe that’s a reflection of wider news media and audience engagement as well. [00:09:30] Angela: I still have lots of friends there so I talk to people actually. My old boss took me to lunch on my birthday last year and I’m in close touch with them but the community for all the greatness, if you don’t have someone who is going to treat it the way I did and who had that role and it’s a full-time job, it’s just not going to work. It was a little sad to see it go away but there just wasn’t the same level of commitment and I understand why. I think, in terms of comments, I don’t too much look at the comments on the news stories that much anymore. I know I had hired all of the moderators over there to adhere to some of the guidelines, or to make sure that the commenters adhere to the guidelines. I think that a lot of news organizations have just a faucet to the Facebook comments. Maybe because it’s easy, Facebook brings traffic to their news sites. I get some of that but I’m not interested in looking at a bunch of Facebook comments on the news story. [00:10:27] Patrick: I guess you have to, at some level, think about the person who is. I don’t want to slander that person. I don’t want to say that’s a person who has bad intentions, because obviously, there are tons of people on Facebook who maybe go and see a story on the news and they see a thing that says comment on Facebook and they’re well-meaning, or they want to offer their perspective, as a local taxpaying citizen, so to speak. A lot of people call comments 2018 letters to the editor. I don’t think that’s true, necessarily, but because of the general way that it’s utilized. There are well-meaning people. A lot of the people who think about that and want to go on Facebook or Twitter are maybe not the people that you would to draw that all those and again, not publish in the letters to the editor section if you still had one. [00:11:10] Angela: Let’s remember the letters to the editor section is vetted and those letters are selected and there’s an editorial board. There’s a whole lot going on over there before you just get published in the newspaper as a letter to the editor. Whereas comments can still be a bit of a wild wild west. [00:11:29] Patrick: I’d like to stop right here to mention our excellent longterm sponsor, Higher Logic. Tap into the power your country can generate for you. Higher Logic, all together. Before you joined an agency, and even long before WRAL, your background was in the news media, you worked in the news media for 16 years and your degree’s in broadcast journalism. In the time since you left WRAL audience engagement, I was in your job title recently, [chuckles] that’s your last job, but audience engagement is a term in a job title that has come out of that and come out in that time that I’m not sure existed at that point, when you left WRAL. I talked to a lot of media folks on the show and off. I mentioned Jay Rosen, had a lot of different people on the show over the years, Greg Barber at Washington Post, Bassey Etim at New York Times, etc. I talked to the space a lot. Sometimes I find their challenges really interesting because we’re all, I think, brothers and sisters and people that share a common challenge in many ways, no matter what we call ourselves. People who work with associations like industry associations call themselves association managers, they do a lot of the same work, people who work in audience engagement in the news media, do a lot of the same work and then, of course, community managers do a lot of the same work and there’s other titles we can go by. We often have way more in common than we would maybe at first think. Now, do you ever think about going back to that industry pulling from your earlier experience, adding in what you’ve learned since then, or you just glad to be out of it at this point? [00:13:18] Angela: I’m one of those people who thought I was going to die in the newsroom and I suppose I still can, that can still happen. [00:13:25] Patrick: You’re still young. [00:13:26] Angela: I thought about that. I’ve thought that “Wow, I’d have so much more to offer, I’ve got this agency piece now and I could probably bring some really good stuff to the newsroom.” I’ve even talked to some of my old colleagues about that who would love to have me but they don’t know what to do with me. I don’t know if that makes sense to you. You have to really have a mindset for fighting the good fight or for teaching people where we need to go because even though there are these titles out there about audience engagement, audience engagement is not enough necessarily what you, a community manager or me, or all of your listeners who are active community managers in the space dealing with niche communities or people who have a really strong shared interest. For us, it’s one thing but audience engagement sometimes in a news organization is just, “Hey, we’re getting all these eyeballs because we’re in the book or the ratings period, what are we going to do with them?” It’s a tactic or an idea or a one-off. I’m not being critical of that, I understand it, it is smart, I get it, but I don’t think we will be speaking the same language now. I’m not sure what value I could bring that would trump the daily fights. We’re constantly trying to cajole people to a new way of thinking. I love to do that and I’ve done it but I don’t necessarily want to do it right now. [00:14:45] Patrick: To that point, a lot of the time when people even have a role that is compatible, call it whatever it is, audience engagement, and actually is doing the work that we would be interested in doing, the most they often can spare is a low-level hire one person. Where you’re at in your career, director level or higher sort of roles, a lot of the organizations either can or won’t dedicate, first of all the budget to hire you, second of all, the budget to give you what you would want to do to have a fulfilling interesting rewarding and successful time at that company. [00:15:17] Angela: I agree with you 100% and now you’re giving me permission to say this but what I was going to say is that they can’t afford me. You put it out there, but there’s a fine line between what you can afford and what you want to afford. I think you just spoke to that some. Because you need the support, you need people who can execute on some of your big ideas and you need to be able to hone the next class or the next group of community managers. One of the reasons is, I’m not going to say easy, but why it’s not very difficult for me to step into a social media crisis and help a client, figure out what to say and what to do is because I understand social communications. I understand how you talk to people online and then the digital space. I don’t think that people really understand that that’s a unique value proposition that you’re just saying again a bunch of canned responses or wanting to argue or telling people, “Hey, there’s nothing we can do about this.” That’s not going to help you. There’s an art to it, and I wish more people had it. Would you agree with that? [00:16:24] Patrick: Yes. I think that you get what you give. If you are mediocre, then you get mediocre results. If you just do the same thing over and over again, the same canned responses and there’s no nuance, it’s like what you get if you see community management or most of it as something that can be automated. If you’re going on that way of thinking where you think that the algorithm can moderate, for example, we’ll just say comments because it’s low hanging fruit but you can do so much more. If you think that the algorithm can do all that for you without a human touch, then what you get is poor comments and a poor community and you don’t get anything out of it. Meaning, you don’t get to lift anything out of that section and bring it into other things that you were doing. I just don’t get smarter responses. Like, I was talking to someone today through a Clarity.fm call. One thing that I told them and, to be fair, we sometimes think about things when we think it’s obvious to us, but people need to hear things or they need that push for their confidence. He’s working on building a community like so many others and wants to bring people in and it’s a business community. Simple things, like for example, if you were really committed to this and you’re really grinding in that community and you’re really growing it, then every topic that gets posted in that forum is an opportunity to invite one to three more people. Meaning, if you get a question in the forum and you have an expansive and this is an industry, let’s say he works in an industry, he knows people in the industry, the forum is about the industry, get a question about that industry, you probably know one to three people who can answer that question really well but they’re not in the forum. Every topic, you can invite one to three people. You just have to go to your email, you have to write a quick message and you have to bring them in and help them even write that first post. A lot of people aren’t even willing to do that. When they don’t do that, that’s what they end up with is they end up with maybe their forum is successful. Maybe they do other things well or they get lucky or they rank well in search or something happens, some cultural thing. If you really want it, then every single conversation is an opportunity to bring even more people in but you can’t do that if you’re hiring mediocre, paying poorly, not empowering people and not letting people go the extra mile. [00:18:27] Angela: I agree. I think what you just talked about is putting in the work. If you wanted to be successful, you put in the work. I can remember the early days of GOLO, when a person would come on and blog for the first time. I was cheerleader of the day, thanking them for being there, sometimes giving them some additional ideas or if I saw a type of picture that people posted or they posted about their vacations. I might go in and say, “Hey, I see that you always post about your vacations. Why don’t you create a vacation gallery and encourage other people to post?” Just putting ideas in the heads of the people who are there, then they feel valued. Getting a direct message from a moderator or a managing editor of an online community is still a big deal. You feel like you’re being acknowledged and before you know it, they’re welcoming other people and they’re emulating what you did. That is phenomenal. I love to see that type of thing happen. People who think that these niche communities don’t really exist anymore, they’re crazy. CafeMom is still blowing up. There’s animal forums, dog forums, Goodreads is still something out there where people are participating. There’s one that I know of is the myFICO Forums, for people who just want information about, “Hey, how do I get my credit together or getting a new house or what kinds of credit card should I look for or what should my mortgage be like?” That forum is unbelievable. There are so many people there all the time. I’m just so impressed with that. I actually participate in Nextdoor; I don’t know if you use that. Nextdoor is a community of people who actually live in your community. You get information about people who want to mow the lawn, “Hey, I’ve got a kid who’s available.” “Hey, this is what’s happening in neighborhood X or neighborhood Y.” It’s fantastic, and that’s community and I’m just not sure that people are realizing or even remembering the value of that kind of thing. They want to just say, “Hey, where’s my Facebook community, where’s my Twitter community, go after my people on Pinterest.” Honestly, is that even community? [00:20:30] Patrick: Right, and I don’t use Nextdoor, but I know friends and they’ve said, and I don’t know how you feel about this, but they’ve said it’s a good way to spot the racists in your neighborhood. [00:20:39] Angela: I think any forum is a good way to do that. I probably haven’t been too deep in those conversations because I dip in and dip out, there’s lots of things you can spot Nextdoor. I’ll just leave it at that. [00:20:48] Patrick: Right, you’re taking the positive track and I appreciate that. One thing you mentioned there about the idea of getting a direct message is still means something, I mean, and this maybe extends more to the brand side. Jay Baer wrote a book a while back called Hug Your Haters and part of that book was doing the survey about responding to customer complaints online and where customers expect to see you, where they don’t, where they’re most surprised, where the opportunity is, the biggest opportunity to surprise and delight, to raise their expectation, to create a great response. In those sort of cases, because people expect a response on Twitter now basically, they expect a response on Facebook, they expect you to respond on Yelp. They still don’t as much expect you to pop up on their online community that they talk about, this thing they are passionate about, or on their blog or on the space that you’re not the controller of. There’s still that opportunity to surprise and delight. [00:22:10] Angela: With good reason, Patrick. I mean, they’re not doing it, at least not in droves, and you wonder is there anyone that’s telling them about this opportunity to do that? That also goes back to putting in the work. Community is work, but you get out what you put in. [00:22:24] Patrick: We talked earlier about community management principles within the agency, you run your own agency now so maybe that affords you the opportunity to speak more freely, I don’t know, but did you find it challenging to maintain those principles inside of an agency, a larger agency where it’s not necessarily community, it’s more social media and what the trends are up today and what clients want. Did you find it difficult to maintain those community principles you brought with you? [00:22:49] Angela: Yes, I think it depends on the client you work for. There were some who absolutely value that background. Lots of times when you were building something from scratch, there is a lot more openness to both. “Give me your expertise and how should we do this and what functionality should we have, and how should we communicate with our customers and clients and prospects or just our community as a whole?” Yes, I think that you know that everything is shifted, as people are focused on their so-called Facebook community or Twitter community. There’s not much unique thinking about what you do is right. Let’s create our editorial calendar, let’s go figure out when it’s National Pizza Day or National Tell A Joke Day and let’s find a way to get in on that. It’s just become so uniform and I’m so bored with it, but the people don’t want more than that, sometimes it is a struggle. I took every opportunity to enlighten clients about that and a lot of them were open to it. Sometimes there’s more at play though, you may not be able to commit the resources to it. I was often times tied to the people in the new media team or here the social media team or digital team at specific companies and they would love what I was saying, but it was sometimes taking it up a level to their bosses to explain and lots of them used me for that. I’ve definitely convinced company presidents to do cool things when the internal team couldn’t do it because my role was to be an advocate for them because I was an expert and I’m the one who did it all the time and sometimes it felt like it meant more coming from me. I think it should mean something coming from the people in-house as well. Your question, I went a long way around answering that, yes, it definitely was a challenge and then so much it started to change but I tried very hard to stick to those principles. When my teams came to me with issues associated with the brands they were doing community management for, I always reiterated those principles in what we’re trying to do and gave them some thinking on how they should push with the client or try to really elevate their thinking. [00:24:45] Patrick: Right. I guess on some level you can still only work with what they gave you and if they are not willing to give you enough to do it right, then instead of going into community, they probably should just send some tweets out or use a hashtag or something and not invest in something you have to wait on, that won’t turn around in three months necessarily the ROI. [00:25:04] Angela: You make a good point. It’s not like me to give up. I’m constantly going to say it. We sometimes have this rule of two then do. You push two times and then you do it. [laughs] I was more like a seven. Then, I don’t know, go to heaven or something. I was looking through your old community management blog. One of the last posts you made on it in August of 2012 was, “Niche communities are still popular.” Which opened with, “While everyone is seemingly on Facebook and Twitter, don’t think for a second that there is no room for smaller niche communities that cater to specific areas of interest. New online communities are launching all the time. Those that don’t subscribe to that if you build it, they will come. The fallacy can be quite successful despite the dominance of the big two.” What do you think it says that just over six years later, after writing that post when asked about the top of mind community challenges, you brought the same topic again. [00:26:22] Angela: I seriously wish you could see me shaking my head right now. I was just thinking, God, I wrote that in 2012. I could write that today. I could go copy and paste that from that blog. Maybe I’ll put in the LinkedIn article and pay homage to you. [00:26:33] Patrick: There you go. Leave the comments open. [00:26:37] Patrick: No, we don’t. [00:26:39] Angela: I think that is a little sad, that not that much has changed and I think that it speaks to the idea of just this mainstream social media management being equal to community management. I also think it’s an opportunity. I think that there are people who can go out for these jobs and really try to move the needle. People who understand niche communities and how to grow a community and make people feel valued, there’s still so much out there for us to do. I can look at it as the glass half empty but I don’t want to do that. I want to look at as there is an opportunity for community, professionals to continue to rise, continue to push the smart way of thinking and tell people what else is out there and where else we can go. You just talked about you and Jay Baer talking about these niche communities are surprising and delighting. More people should listen to that and go out and find some of those communities where you can do that. Is it dire that the same thing can be written six years later? Yes. On the flip side, there’s nothing but opportunity there. Who’s with us, who’s going to do it? It’s up to us. [00:27:49] Patrick: Yes, I mean I think, I always see it as this pendulum swing and how it swings back and forth. I don’t know, there’ll be a time when this isn’t true. When I get so old, [chuckles] I’m done. I always like to think I’ll be here for the next swing. It doesn’t really matter. I’ve been managing and moderating communities since ’98 and I’ve seen this swing this way and then this swing the other way and sort of people push toward Facebook and Twitter and whatnot. I think we’re in a swing back and I think we’ve been in it for a little while. I think it’s driven by distrust or mistrust in Facebook, disgust with Twitter and how they’ve managed their platform, of course, opinions might vary. What I find a lot about will guess term reasonable people, feel like Twitter doesn’t do a very good job managing their platforms. Platform manners lost what made them really great. Once upon a time, I still used Twitter, I still like Twitter but I know community minds leaving Twitter. Same with Facebook, I know, and I’ll give you one of Twitter, Derek Plozac, who is just an awesome community mind that I respect a lot. On Facebook, Venessa Paech, she left Facebook. She’s been in community for a long time, previous guest to the show. [00:28:50] Angela: Wow, I love Venessa, I didn’t even know that. [00:28:54] Patrick: She left Facebook months ago and just disgusted with what Facebook was and had become. I think that there was an interesting anecdote when I had Howard Rheingold on the show. Howard Rheingold is a pioneer of community, wrote The Virtual Community back in 1993 was involved with The WELL in the ’80s. When he was on the show, he talked about how Facebook had had him in To talk about groups and he couldn’t understand why they were doing it so badly but that they wouldn’t listen. I don’t think that community is at the core of their ideals. Despite how many times they use the word community, I don’t think that it’s at the core of their ideals and of building community. I think as people, all people, frankly. I think you look at Citizen, I think, people don’t trust these platforms, not just because of some paranoia of censoring anybody’s views, just in how these platforms are being used to spread misinformation. I think businesses also should be very…I’ve said this before on the show so hopefully, I’m not repeating myself too much for listeners. Just the idea that how many times can someone punch you in the face and you go back? That’s what I think. How many times can Facebook, punch you right in the face, say, “Come here, set up a page.” There goes your reach and here goes your job because you just got fired because the reach went down. That’s what plenty social media managers did. [00:30:11] Angela: That is so true. [00:30:13] Patrick: You go back again…Not even community professionals because it’s not them. Brand Marketers, Social Media Managers, whoever that might have any sense of community at all, even the slightest sense of being a user of a community. You have to insulate yourself in a better way. I think those skills are useful, are continuing to be useful. I’m hiring for a community manager right now and it’s definitely a junior role, it’s the kind of role that if you have a year or two of experience and you’re looking to go to the next level, this is the right job. Those are the people I want. I don’t require a degree, if they have a degree, that’s good for them, it’s a positive. All I want is someone with some experience and some skill at building strong communities. Someone who has a little bit of a taste of that and can show me and tell me about the communities and how they moderate them and demonstrates the understanding of how to start a good conversation, how to keep it going, how to keep it healthy. I think that’s something that we are seeing more and more of and I think community manager job postings are getting better. There’s plenty of bad ones obviously but I think we’re headed in a good direction right now and, of course, that could change next month, next year. [00:31:20] Angela: Agree. You’ve said a mouthful here and I agree with so much of it. Do you know based on what you described, how many people would not be qualified for you to hire? Because the things that you just laid out that you would expect and you will want to see, there are a lot of people who have been working and what they think is the community management space who cannot do that, they just can’t. They can’t demonstrate to you that they’ve done those things and that they’ve done them successfully. I mean if you were to say, “Demonstrate to me how you grew a community.” “We doubled our likes.” That’s not really the answer to that. I don’t know that there will be a ton of people who could make that distinction. That’s pretty lame. [00:32:01] Patrick: You’re right. I have reviewed all the applications, I have more coming in, I’ve had a couple of people who have that experience maybe but I think a lot of people are just like auto-apply which is always ridiculous to me. They are applying for jobs just because there’s one there and it’s remote. The reality is that there is a lot of people who are like marketers applying and I’m not requiring any experience except some with community [crosstalk] years, with some community experience and the reality is you can’t do it. The work that I want you to do is a work that any really good community manager can do, you could do it in your sleep. I can’t afford you but you could do it in your sleep, I could do it in my sleep. My community manager that I have, the company, Marie, she could do in her sleep, she’s doing a great job. I need someone who can come in, look at a stream of discussions and know what moderation is and know how to bring other people into the conversation and know how to write a smart thoughtful message that will be taken in the best way because we send messages knowing people will be mad at us but still we try to reduce that likelihood. [00:33:00] Patrick: I need people that have that sort of personal skill. If you’ve been on Twitter writing snarky tweets or posting gifs like it’s not going to necessarily translate very well so you’re right. [00:33:13] Angela: No, it’s not going to translate and what you’re asking is not too much. You are asking for someone competent to do the things that matter most and community and some people just do not have those skills and is it really their own fault? I mean if it wasn’t required of them. [00:33:29] Patrick: No, it’s not. [00:33:29] Angela: If they were judged based on engagements or click-through rates or people liking or people replying or resharing, you can’t get that without doing all of the things that you just laid out. [00:33:43] Patrick: I’ve had people apply and I used AngelList too because it was free to post and I wanted to see who would come in through AngelList. AngelList allows you to put a salary expectation which is fine. I am constrained to my budget right now unfortunately but we’ve had people put in like 20% higher salary but not actually have any experience in community. If you really want to make that switch, you might have your own advice but I think if you are a marketing person who has experience and rightfully so can make 70, 80, 90, 100 upwards of that in marketing, that’s great. You may want to stick with marketing. I think if you want to switch to community, one of the greatest things you can do because you have skills that translate, don’t get me wrong, you have skills that translate, absolutely, but if you want to get some experience, start a community, show that you’re actually interested in this work and build up something because if you take a community using your marketing skills and obviously you believe you can work in community, put it to the test, go out there, do it, start a community, grow it to 500, 1000, 2000 members. You’ll be so much more attractive of a candidate just for registering a domain name, installing free software, applying your strategy, growing your community from 0 to 1000 with $0. I know a lot of people look at this differently, I know I had a tough time finding a role that worked for me because a lot of people, even though I consulted with major brands, even though I wrote a community management playbook for FedEx or I spoke for Dell and CNN. Even though I have this, even though I’ve turned down opportunities at Facebook and at Apple, they wouldn’t talk to me because they didn’t think I could talk about it in the boardroom. I actually heard that from one company and another company was like, “We don’t know if you can really do it on the company side.” I was like, “Okay, great. Not the job for me. That’s fine,” but like build that experience because some people do want that. Some people would look at that. I would look at that when I’m hiring people and say, “Okay, you build that community. I want to see what’s going on in that community.” If the conversation is great and what I’m looking for, you have a leg up over most of the applicants, honestly. [00:35:40] Angela: I agree. Also, even if you look at some of how they communicate and their conversation style, when you go back into the agency space sometimes when you’re having to send your comments to someone else to approve whether it’s someone on the brand side because they’re managing the brand and how you communicate and if they don’t want that type of comment, they’re not going to approve it, and then you have to rewrite or do something different, and that might be against what you know is right. As someone who has managed a community, and you have to do a lot of convincing and cajoling, and ultimately it could come down to, “Oh no, no, no, we don’t say that. That’s not what we do. We just want them to do X.” Because you have people who are in these roles who don’t necessarily understand community or they’re just all about driving revenue. Does that drive revenue? Revenue is important. Don’t get me wrong. Revenue is fantastic, but so much of that comes when you really demonstrate the human side to your brand, and that means having a human communicating on your behalf, and doing things that are humane and it’s just not that prevalent. [00:36:43] Patrick: Maybe another way to put this that’s more motivating is prove me wrong. If I don’t accept your application, if I turn you away, if you get rejected from other jobs, you can get mad at me if you want, that’s fine, but prove me wrong. Like, go out there and start a community and be successful, and it will probably generate revenue and it might be your whole new thing honestly, because that happens when people start a community. It can become the full-time thing. It can become a business. Planning communities that’s happened with, but prove me wrong. Go out there, build the community, making great, and then you know what? People will be more likely to come to you. It’s like if you’re a musician and you want to be discovered and you still want to be signed, you don’t want to go the indie route, a lot of people want to do now. The way you would do it as you go to the club, if the club plays your music and people are rocking with it, then you’re going to get an offer probably from someone if they hear your music enough and the same is true for community. If you build a strong community and you show that you’re doing this, then you’re going be in a lot stronger position. [00:37:37] Angela: I agree. If your community is based on something you’re very passionate about, something you’re an expert at, something that you just really enjoy talking about, that shines through. It matters. [00:37:48] Patrick: The last thing I wanted to touch on with you, so at your agency, Change Agent Communications, you are promoting a service, the Social Rewind, where you offer to help companies update their stale, update their social media strategy. Let’s apply that to community. Since I know that you know the difference, right? You can draw that line as you have to run this show here. What stale strategies do you think exist with online communities? [00:38:09] Angela: Well, I think doing the same thing over and over again. I know that I’ve mentioned canned responses to you. I cannot stand a lack of personalization in a community. How about revamping the way you communicate with people? How about you take some time and go look at what they post about? What they’re interested in. You can look at their comments on other people’s posts, and other people’s images, and learn a lot about the people that you want to connect with, and the people you want to help you grow the community. The idea of letting it be on autopilot and not taking a vested interest in individuals, that needs to be updated. I will revamp that. If it were the community management rewind, that would be something that I would take a look at. I will spend time in that community and see what is the moderator actually doing or the community manager, who are they? Are they egging people on or are they prompting people to try new things? Getting back to that real authentic engagement and getting people really vested and caring about the community, it’s not that hard. You gave many examples about how people can engage and I think that that needs to be revamped and communities. What about groups? I think groups were great and communities, I don’t know how much people are giving that the attention that it needs, stepping into the groups and demonstrating some involvement and encouraging them to grow. Giving them some new ideas, posting your own content within a group that maybe you don’t belong to, but showing that you’re there and that people matter and I’m watching people as the moderator and I want to be involved. Does that make sense? [00:39:45] Patrick: It does. I think it’s a great point. I think looking at those canned replies messages and what that’s directly related to often is sort of all of the automated emails that you send out, that your platform maybe sends out and you don’t think about, are all opportunities for something. There’s an opportunity to kill them. I mean, there’s opportunity to get rid of some of them. Certainly, you can always just get rid of them and you might not be harmed at all. A lot of these emails are so old in their language and so constant that they might even be filtered out by Google anyway. Most people with email so why not take that opportunity to, as you alluded, to do more with those messages. No one wants welcome e-mails anymore, for the most part like unless it’s to confirm the account which you might need to do, that’s fine, but like take that opportunity then to use the welcome mail to ask them to do something or to put them to that first contribution. To do something meaningful, don’t just send e-mails for the sake of sending e-mails. [00:40:43] Angela: Right, I mean five ways you can jump into the community today. Three polls you can take to let people know your opinions on X, right? I mean, you can write those types of things. How about take a day and just revamp your whole e-mail strategy? [00:41:27] Patrick: Like we just removed their post, is there a nugget there? Can we save this in some way? If they make X adjustment, would it be appropriate for the forum? If so, explain that. Oftentimes, we just delete that line, the post is bad, we don’t want it. We don’t really want it any context, but if that post can be brought up in some way or adjusted and made better and repost it, maybe they did something harmless, right? Maybe it’s simple enough, then do that. You don’t just have to send the same message and you can allow some discretion and some customization of those options. There’s a lot of things that you could do within macros, within save replies to make sure that they have some level, at least they feel a little custom. [00:42:04] Angela: I like that, Patrick, and it makes you think. If your intention was to go ahead and get rid of something, now you get this little reminder there that say, “Can this post be saved?” That’s going to make you think, “Okay, maybe, let me think about this.” I love that. [00:42:19] Patrick: Yes, and I think along the same lines that you’re thinking. As we talked about earlier, it really is, how badly you want it versus how you are hoping to let it happen, I guess, for you, that’s what I get from what you said in a way. We talked about earlier, going out and finding people, getting people. You can create a community, you can send out some emails, you can hit your whole prospect list so to speak, but that nature of fighting for it, of going out and finding the audience, whether that’s working in news media, finding people who are posting about a specific thing and then bringing those people together or encouraging them to go deeper, or going outside of the community and bringing in experts to answer people. What often sets people apart is just their ability to fight for it in the right ways and go out and get people and bring them to the community, and hand-hold them as I like to say. They thought that I had started a franchise, you know what, I did from then on out and it became a big deal and I still talk about franchises today. Even for people who are doing the social media management piece and not necessarily seeing it as a community. Every time I put a strategy together or a plan, or I’m talking to someone about moving to that point with me, I say, “Hey, have you thought about franchises, what are your people interested in, what can you bring them on a weekly or monthly basis that makes you different and unique or provides value to your audience?” You would think that that’s something that’s common, but that’s not always considered at all. [00:44:12] Angela: I did, but it served me well, but my God, did I want it to be on Tuesdays? No, but I didn’t have a choice. Anyway, it turned out to be great. [00:44:21] Patrick: We just happened to be recording this on a Tuesday, [chuckles] so it’s like a great place to draw it to a full circle. Angela, thank you so much for spending some time with us today. [00:44:30] Angela: Patrick, thank you for having me and allowing me to talk about something I’m still so passionate about. I’m really pumped. Thank you. [00:44:37] Patrick: We’ve been talking with Angela Connor, founder, and CEO of Change Agent Communications. For more information, visit changeagentcommunications.com. Change Agent Communications offers a service called the Social Rewind, helping companies to revamp their outdated social media strategy. changeagentcommunications.com/TheSocialRewind has all the details. Finally, to connect with Angela, visit Angela-Connor.com or find her on LinkedIn at LinkedIn.com/in/AngelaConnor. That’s Connor, C-O-N-N-O-R.
For the transcript from this episode, plus highlights and links that we mentioned, please visit communitysignal.com. Community Signal is produced by Karn Broad, and Carol Benovic-Bradley is our editorial lead. Thank you for listening. Patrick, I cannot thank you enough for bringing me on and allowing me to talk so openly about community. It is still very near and dear to my heart! It was a pleasure to spend the hour with you, my friend! Belated thank you for your kindness, Angela! It was my pleasure.